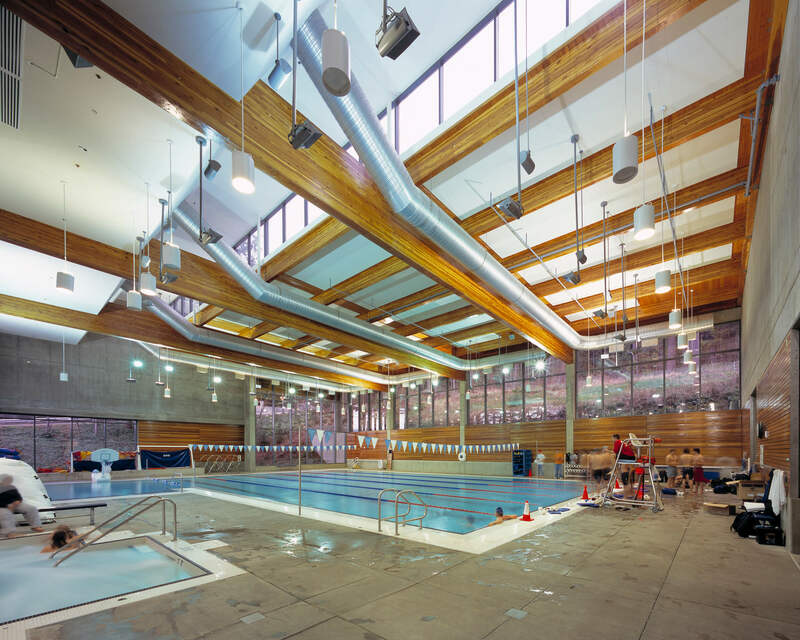 This award winning recreation center is a 99,950 square foot concrete structure with wood framing on a drilled pier support foundation, with structural concrete and steel building roof systems. 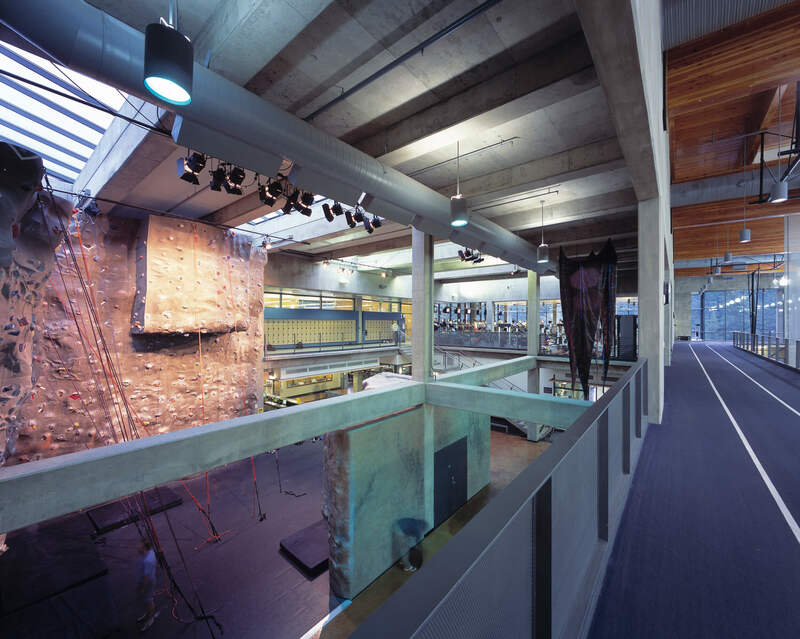 The facility was one of the nation’s first recreation centers designed to meet LEED Certification and received several awards, including the Outstanding Sports Facility Award by the National Intramural-Recreational Sports Association (NIRSA), the Excellence in Concrete Construction Grand Award from the Washington Aggregates and Concrete Association, and the Built Projects Citation from the AIA Outstanding Projects. 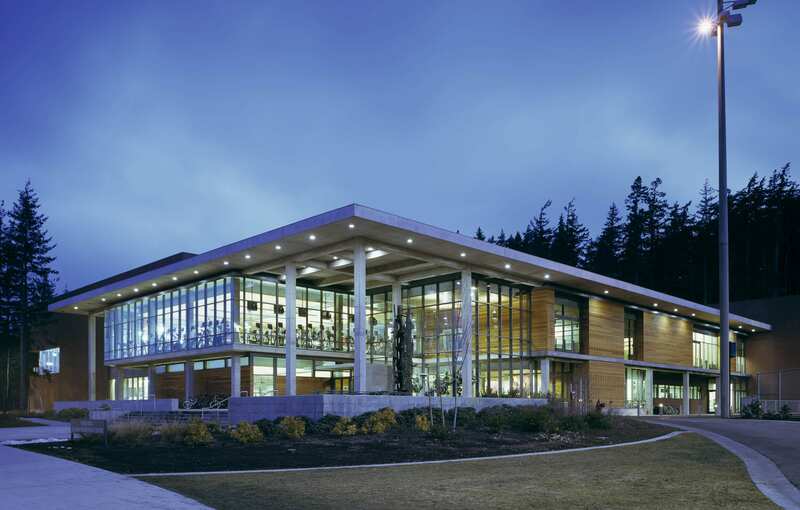 The building houses a three-court gymnasium, an elevated jogging track, multipurpose rooms, weight and fitness space, a climbing wall, fitness and leisure pool, locker rooms, wellness center, and administrative office space. The basement houses a mechanical room, utility tunnel, and mechanical penthouse.